Hiring Grants and Wage Subsidies for Employers | Mentor Works Ltd. Many Canadian companies could benefit from hiring intern students and recent post-secondary graduates. Not only do they possess the skills and enthusiasm that can support operational success, but they can also help your company qualify for hiring grants and wage subsidies! While Canadian government funding for hiring experienced professionals is generally quite limited, there are several opportunities for employers to receive funding for post-secondary students and recent graduates. Canadian employers can receive up to 50-70% of an intern’s wage to a maximum $5k-$7k, or up to 50% of a recent graduate’s wage to a maximum $12k-$15k in hiring grants. Spring and summer are the ideal times to use these incentives since there is a large youth talent pool and funding programs are generally open to applications. Since many hiring grants operate on a first-come, first-served basis, interested employers should start the recruitment process as soon as possible. Current employees are not eligible for retroactive payments; employers must receive funding approval prior to hiring the candidate to qualify. While several Canadian businesses know that hiring grants and wage subsidies exist, few understand how they help, how they impact the recruitment process, or what they must do to access funding. Student interns being hired into temporary roles that provide relevant work experience. Hiring recent post-secondary graduates is one of the best approaches to growing your company. These candidates are often excited to kick off their professional employment and are highly educated in skills that could have a direct positive impact on your company. Recruiting recent graduates can be done online or through in-person activities like attending job fairs, which makes it easy to connect with qualified youth. Hiring grants in this category usually provide the most amount of support since, compared to internships, candidates tend to be more skilled and will spend a longer period with your company. Most hiring grants for recent post-secondary graduates require that the worker spend 26-52 weeks with your firm to qualify, and the worker is typically expected to continue working with your company after the funding period concludes. When hiring recent post-secondary graduates, employers can receive up to 50% of the hire’s wages to a maximum of $12,000 to $15,000. “Recent graduate” often implies that the job candidate graduated within the last 2-3 years and is currently unemployed or underemployed. Funding programs also require that the candidate be hired for certain types of roles, including (but not limited to) digital economy (computer and information systems, graphic design, software development, web development), cleantech, environment, and other roles using the candidate’s STEM (science, technology, engineering, math) background. Hiring student interns for co-op positions is another strategy companies can use to enhance workforce productivity and build an employer brand. Student interns are often excited to break out of the classroom for some practical, hands-on education, and employers can benefit from the workload that these youth can support While it may be difficult to reach these types of candidates through typical job boards, attending job fairs and using college or university-specific job boards can generate interest in your company. While not as lucrative as some of the incentives offered for hiring recent post-secondary grads, internship hiring grants are an effective, easily-combined method for getting funding to host a student. Co-op periods typically last for 16-18 weeks, and it’s not uncommon for employers to host multiple co-op students at the same time to optimize their funding potential. After the internship period has ended, the co-op students return to school so they can receive more formal classroom training. When hiring co-op students, employers can receive up to 50% of the intern’s wages to a maximum $5,000. This increases to 70%/$7,000 if the intern is part of an under-represented group, such as women in STEM or newcomers to Canada. One important point to consider with internship funding programs is that employers can only receive grants for net new co-op positions. This means that if an employer received funding for three interns over the 2018-2019 government fiscal year and hosted four internship positions in fiscal year 2019-2020, only one of those interns would be eligible for funding. The goal here is to continuously offer more internships in the next fiscal year and expand your funding potential. After funding is in place, you can formally provide an employment offer to the candidate. Hiring a candidate and placing them on payroll prior to government funding approval can significantly complicate the process and often leads to applications being deemed ineligible. This article has explored two main funding options available to employers, grants for hiring recent post-secondary graduates and grants for hiring student interns. Both options maintain several government funding incentives which are generally targeted towards specific industries or a particular candidate focus. With so many funding programs available, it’s often best to reach out to a specialist who can discuss your specific hiring needs and identify a program that works best for your company. 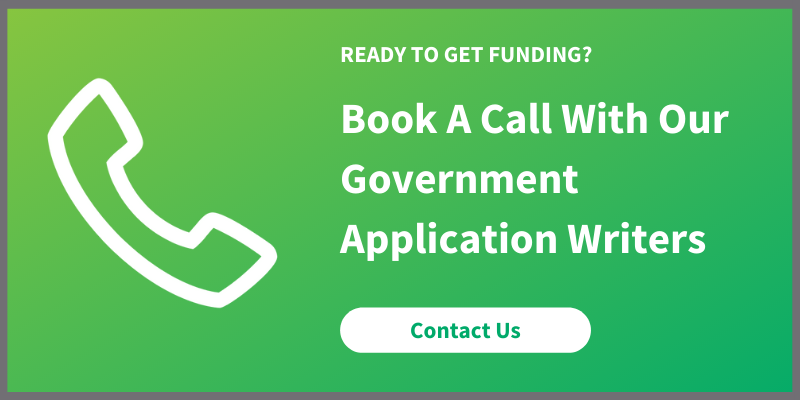 Mentor Works, the Canadian Government Funding Planners™, works with hundreds of businesses each year to determine which government grants and incentives provide the best support for upcoming projects, including workforce development initiatives. Our team can discuss your hiring needs and identify your potential for hiring grants, then support you throughout the process. This reduces your time commitment and helps ensure your eligibility during the application process. Contact Mentor Works to discuss your eligibility, identify the types of incentives providing support, and optimize the application process.